For a young lawyer on the make, it was an offer he couldn't refuse: a position at a law firm where the bucks, billable hours, and benefits are over the top. It's a dream job for an up-and-comer--if he can overlook the uneasy feeling he gets at the office. Then an FBI investigation plunges the straight and narrow attorney into a nightmare of terror and intrigue, with no choice but to pit his wits, ethics, and legal skills against the firm's deadly secrets--if he hopes to stay alive . 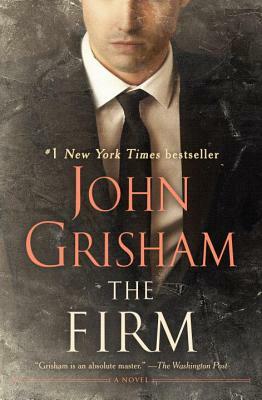 . .
Long before his name became synonymous with the modern legal thriller, John Grisham was working 60-70 hours a week at a small Southaven, Mississippi law practice, squeezing in time before going to the office and during courtroom recesses to work on his hobby—writing his first novel. Since first publishing A Time to Kill in 1988, Grisham has written one novel a year (his other books are The Firm, The Pelican Brief, The Client, The Chamber, The Rainmaker, The Runaway Jury, The Partner, The Street Lawyer, The Testament, The Brethren, A Painted House, Skipping Christmas, The Summons, The King of Torts, Bleachers, The Last Juror, The Broker, Playing for Pizza, and The Appeal) and all of them have become international bestsellers. There are currently over 225 million John Grisham books in print worldwide, which have been translated into 29 languages. Nine of his novels have been turned into films (The Firm, The Pelican Brief, The Client, A Time to Kill, The Rainmaker, The Chamber, A Painted House, The Runaway Jury, and Skipping Christmas), as was an original screenplay, The Gingerbread Man. The Innocent Man (October 2006) marked his first foray into non-fiction. "Taut, fast and relentless... A ride worth taking." —San Francisco Chronicle. "Keeps the reader hooked... From the creepy first chapters... to the vise-tightening midsection and on to the take-the money-and-run finale. "—The Wall Street Journal. "Irresistable... seizes the reader on the opening page and propels him through 400 more. "—Peter Prescott, Newsweek.